Montague Island is an island in the Gulf of Alaska lying at the entrance to Prince William Sound in the state of Alaska, USA. The island has a land area of 790.88 km² (305.36 sq mi), making it the 26th largest island in the United States. As of the 2000 census, Montague did not have a permanent resident population, making it the largest uninhabited island in the United States. Montague Island is well known among sport fishing out of the Seward port as it is referred to as 'The Land of the Giants'. In 2007 it produced a 350 lb halibut and many boats full of fish over 100 lbs. The island's coastal ecology has been subject to 'unprecedented amounts of ocean trash' transported by wind and currents from Japan's March 2011 tsunami, according to the Center for Alaskan Coastal Studies, in May 2012. A large scale clean-up began on 22 May 2012, funded by The Marine Conservation Alliance Foundation. Here's the our members favorite photos of "Islands in Alaska". 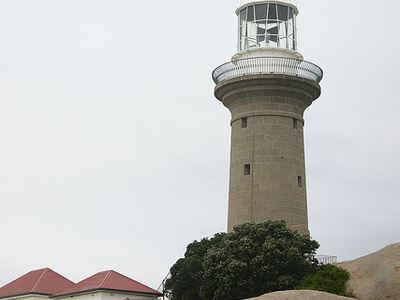 Upload your photo of Montague Island!